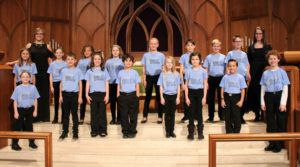 Preparatory Chorus is a non-auditioned ensemble for 1st-5th grade singers. Rehearsals will be held Tuesday evenings from 4:30-5:45 pm at the First United Methodist Church, Peoria and run from January 22-April 2, 2019. The Preparatory Chorus will perform at the Youth Chorus fall concert titled Astonishing on Sunday, April 7 at 3:00 p.m. at FUMC Peoria. Tuition is $100 and concert attire will be an ensemble t-shirt (purchased for $12 in addition to tuition) and black pants and shoes that each family can provide on their own. The curriculum will include choral singing, solfege, music reading, music games, folk dance and activities that will help students to learn about the many elements of music! To register, please email paccycprepchorus@gmail.com. Lynn Randolph is from Germantown Hills, Illinois. She received a Bachelor of Arts Degree from Western Illinois University and a Master’s Degree in Music Education from VanderCook College of Music. 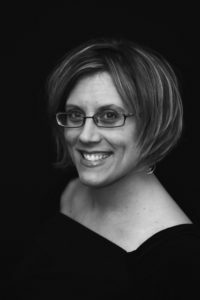 Her teaching career has included primary and intermediate general music and intermediate choral music in Aurora, Peoria, and Washington, Illinois. She is an active member of Illinois Music Educator’s Association and Music Educator’s National Conference. Mrs. Randolph is the Junior High Choral Co-Chair of ILMEA District #4 and currently is the Vocal Music Director at Washington Central Intermediate School District 51. Mrs. Randolph teaches 4th grade General Music, 5/6 Choir, 7/8 Choir, Boy’s Ensemble, Girl’s Ensemble and 7/8 Guitar. 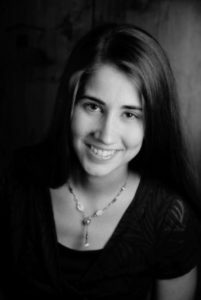 Anna previously served as the Peoria Area Civic Chorale Youth Chorus accompanist after graduating in 2006 from Bradley University with a Bachelor of Music in piano performance. For years she taught Kindermusik classes at Trinity Lutheran Church and maintained a thriving private piano studio. More recently, she has stepped back from all of that to stay home with her kids. She and her husband Matt have a son, William, and daughter, Michaela.